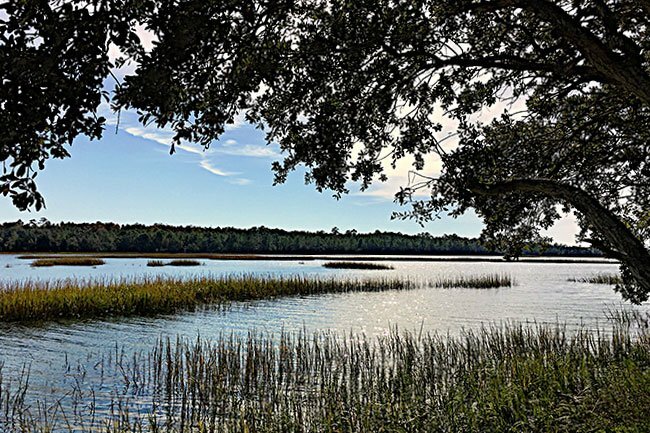 While most beaches conjure images of sand and ocean, Mosquito Beach in the Sol Legare community of James Island is composed of pluff mud and a tidal creek. The strip of road facing the creek is lined with an abandoned building or two and and a few businesses still up-and-running. The rural island road became a popular waterfront hangout for African-Americans in the early 1950s during segregation. 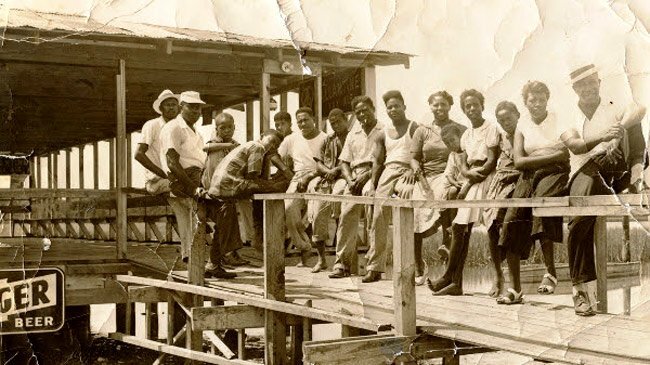 While white James Islanders were relaxing at the local beaches such as nearby Folly, their black neighbors were forbidden to enjoy the same amenities and had to travel to black beaches such as Riverside Beach at Remley’s Point – all the way in Mount Pleasant. As an answer to the lack of a local waterside venue for black residents, the owners of the creekside property, which today remains in the same family, opened a pavilion in 1953. The area then affectionately became known as Mosquito Beach for the insects that populate the area. Other businesses soon popped up along the strip, including restaurants and dance halls. 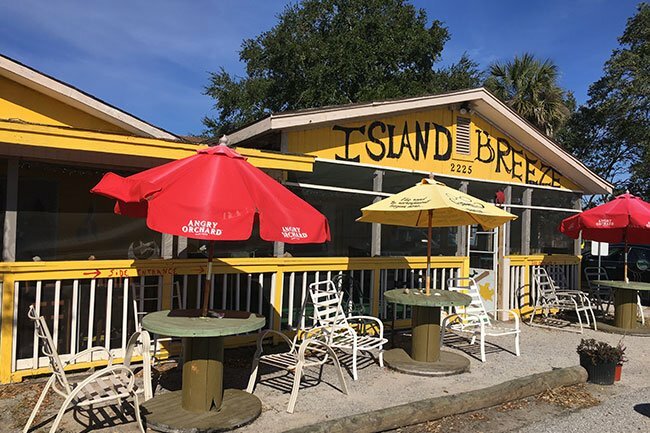 Even after desegregation, people flocked to Mosquito Beach every weekend for the live music that was carried across the waters of James Island and the dancing that continued into the early morning hours. Enterprising locals attempted to create a resort atmosphere along the beach and even built a 16-room hotel. Yet, today the hotel stands vacant along Mosquito Beach. Violence soon invaded Mosquito Beach, and the resort never took off. 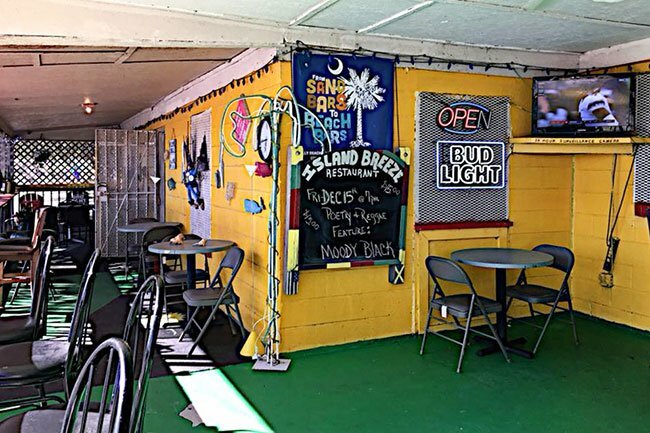 Not long after it came into its own in the 1950s, two murders occurred in Mosquito Beach nightclubs within three years of each other. 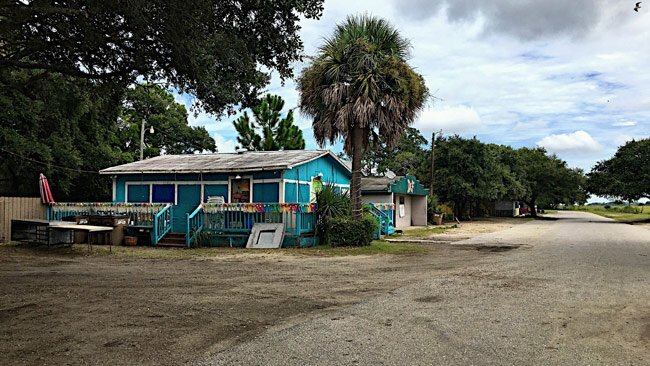 Those killings began a string of violence that has plagued Mosquito Beach ever since – around one murder every decade – despite efforts by local business owners to abolish it. Residents claim that a long-held turf war between a group of young people who live in the Sol Legare community and a group of neighboring outsiders has led to the violence. Recent efforts to control crime over the years include tighter security during events, increased patrolling by police, and a limit on alcohol sales. Once a landowner even unsuccessfully attempted to privatize and gate the Mosquito Beach Road. Many are hopeful and believe that the efforts to eliminate violence from Mosquito Beach are helping. Businesses along the beach hope to foster a sense of culture and community. The P&J Snack Bar, seen above, is a favorite spot for casual socializing and cookouts. The Lake House, a restaurant and nightclub, fills the void left when Hurricane Hugo destroyed the pavilion in 1989. The landowners have refused offers from developers to buy the property, stating that they want to preserve and maintain the history and culture of the area before it was gripped by violence. They forsee a future for Mosquito Beach that includes peace, laughter, relaxation, and reminiscing, and they are unwilling to sell their vision. Thank you so much for sharing this wonderful comment with us, we loved reading it! We added your reflection to the page so it will be more visible to those who visit! I was stationed at Main Base Charleston in 1982-1985 and was blessed to go to Mosquito Beach with an older shipmate who was well versed on its history. I recall there being a number of clubs and/or eateries along the boardwalk, which was my first time seeing one. I did some dancing and drinking until 4-5am and went back to base to sleep and get up to be at work by 7:30am. I was 20 then, and 55 now, and even though it wasn’t like it was in the 50s, 60s and 70s, there was still enough of the original magic in 1983 for it to be one of the lasting highlights of my time in Charleston, South Carolina! I have heard about this beach a long time ago, but I just found out that it really is a beach. I am looking forward to visit it soon. I do hope that it will be preserved. I love all kinds of history and like most people especially when it is about self! Preserve this prestigious place…. I will be back to enjoy all it has to offer.